Slick production value and a pitch perfect cast makes this a holiday we want to go on again and again. Love them or hate them, ABBA is undeniably one of the most powerful cultural phenomenons to have emerged in the 20th century. With a catalogue of radio-friendly records that proved to be one catchy, karaoke-standard hit after another, it’s little wonder that their work remains ever popular and ageless, striking a chord with listeners regardless of generation. With that kind of power in hand, it’s inevitable that their music would have eventually have been adapted into a hit jukebox musical, bound together by a rather simple plot that somehow manages to weave just about all the hits and a fair number of B-sides into a single cohesive narrative. 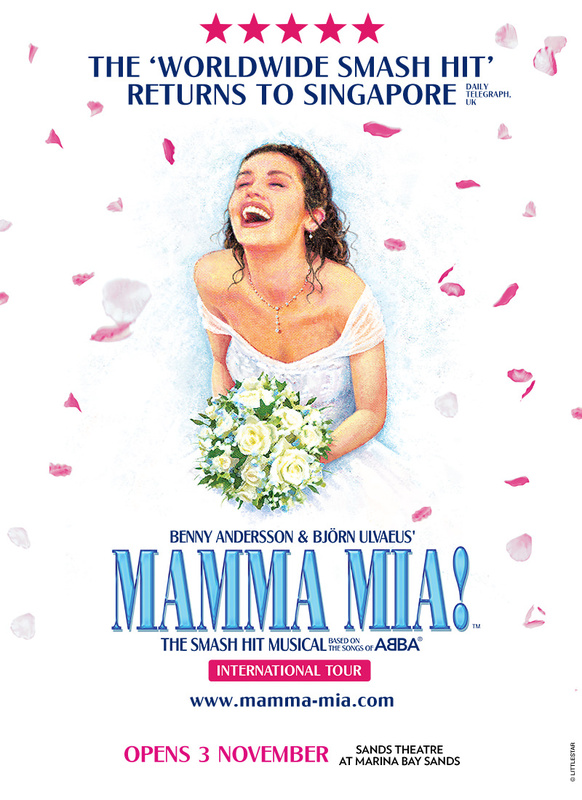 Directed by Nikki Davies Jones with musical direction by Carlton Edwards, Mamma Mia! is set on the fictitious Greek island of Kalokairi, where 20-year old Sophie Sheridan (Lucy May Barker) is about to be married. Not knowing who her father is, she invites three possible men to her wedding, unbeknownst to her strong single mother Donna (Shona White), who quite frankly would rather not have the past catch up with her. What follows is an ABBA filled whirlwind of romance, nostalgia and new beginnings, as the wedding approaches ever closer. Mamma Mia! boasts one of the simplest big time musical set designs we’ve ever seen, with only two major setpieces (resembling the blue and white buildings of Santorini) used in two configurations throughout the production, bolstered by well-designed lighting casting the stage from dawn to dusk, domestic space to party central, paying careful attention to the way shadows are cast and spotlights are used. 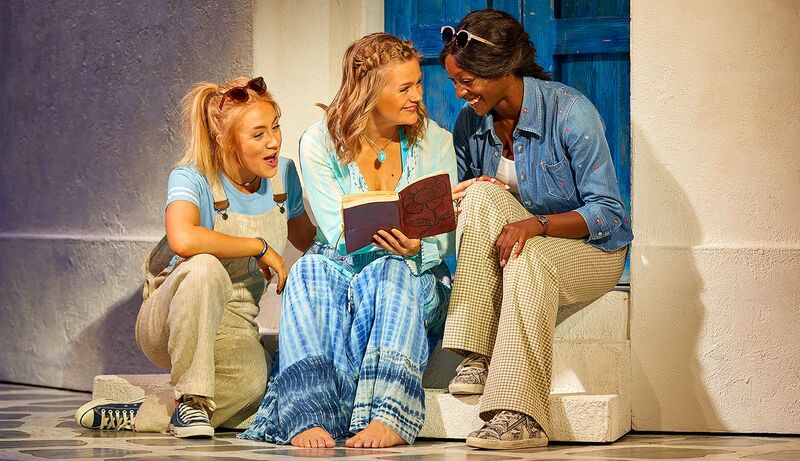 With a backdrop of deep azure resembling the Aegean sea, it’s easy to feel immediately transported to this summery Greek island from the very first scene, and lose ourselves in the lush fantasy that Mamma Mia! paints. Lucy May Barker plays a charming Sophie who easily grows on us throughout the musical, bookended by strong renditions of I Have A Dream and impressing with her vocal chops in numbers such as “Lay All Your Love On Me” and “Under Attack”. But it is Shona White as Donna who grips us with her performance and vocal prowess, rightfully receiving big solo numbers such as the titular “Mamma Mia!” and “The Winner Takes It All”, while showing her emotional side in numbers such as “Slipping Through My Fingers” with Sophie. As all three men join in with Donna on the acoustic “Thank You For The Music”, Sam (Tamlyn Henderson), Bill (Matthew Rutherford) and Harry (Daniel Crowder) display a confidence and distinct masculinity to their characters that makes it easy to see why Donna would have fallen for them all those years ago, and that warmth is readily rekindled in the wonderful duets she shares with each of them later on. Undoubtedly stealing the show each time they come onstage are Donna’s best friends and former “Dynamos” – strong headed and strong hearted Rosie (Nicky Swift) and flirtatious cougar Tanya (Helen Ankar), each impressing in their numbers “Take A Chance On Me” and “Does Your Mother Know” respectively. 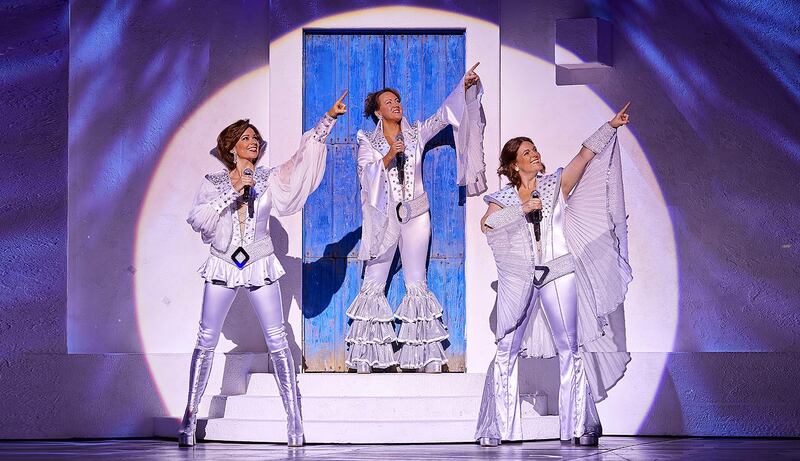 When Donna and the Dynamos come together, it’s pure magic in the way their sisterhood adds both fun and warmth to “Chiquitita” and “Super Trouper”, with glitzy, pure white disco-inspired suits that would certainly make ABBA themselves proud. What makes Mamma Mia! truly shine is its incredible ensemble and the chemistry they share. Every group number is choreographed to perfection, with high tempo, back to back numbers “Gimme! Gimme! Gimme! (A Man After Midnight)” and “Voulez-Vous” proving to be a powerful closer that ended Act 1 on a high note. As large as the Sands Theatre stage is, the cast effectively filled the space with their sheer numbers and carefully planned movements, as they came together to twirl, jump and somersault across the stage. This is a cast that brims with raw, primal energy in every sequence, every number second nature to them, yet evident from their performance that they are enjoying every moment of it, that infectious mood easily spreading to audiences as well. 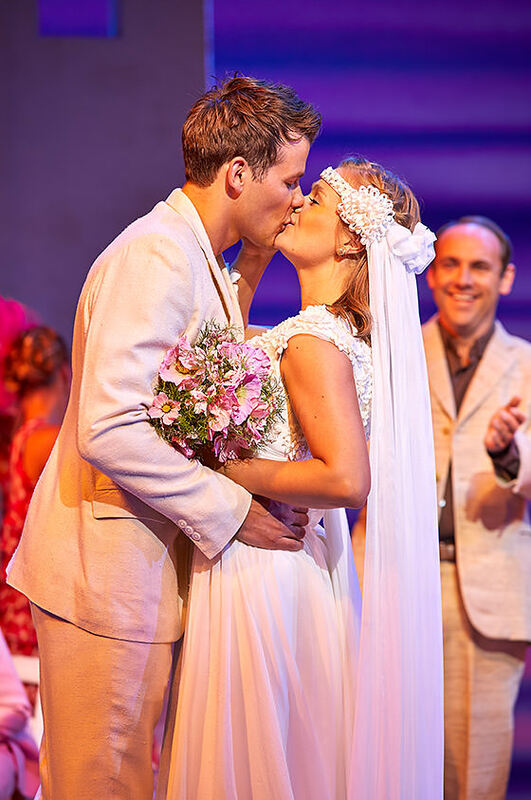 In addition, the live orchestra was pivotal to making every song shine, and coming together, the camaraderie and spirit of the cast is like a Greek holiday come true – like stepping into an island and feeling the warm sun on your skin, the clear water lapping at your feet. 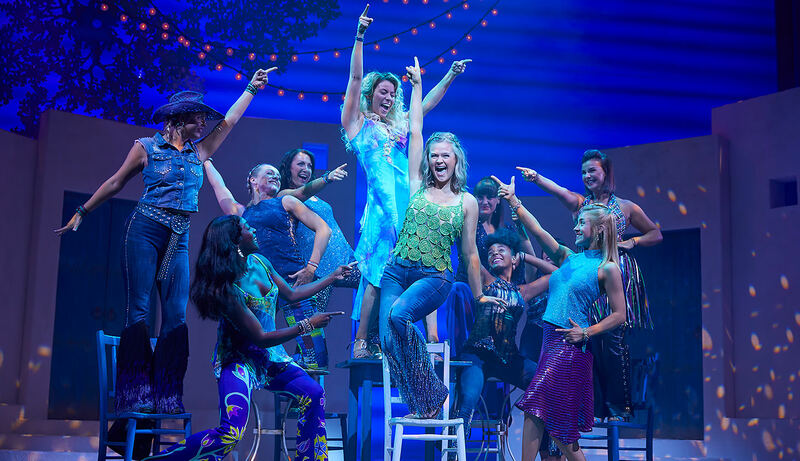 As skeptical as you might be about the value of an ABBA musical, Mamma Mia! proves that there is simply an ABBA song for just about every occasion, be it a party or an intervention. The nostalgia evoked by these recognisable songs is only part of the reason why Mamma Mia! 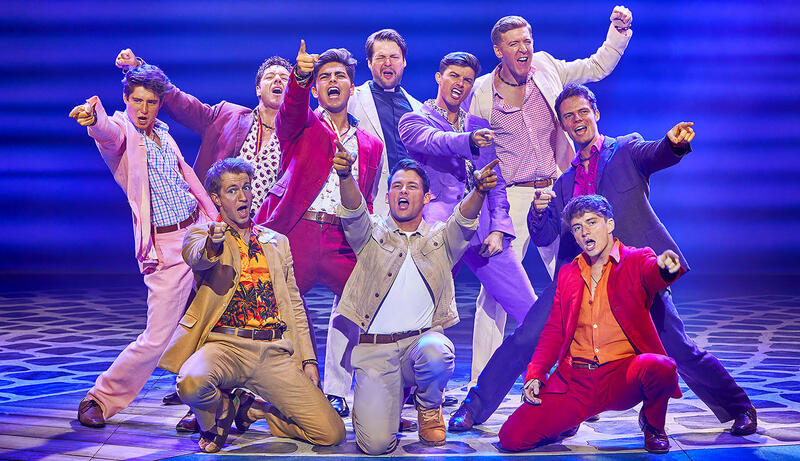 is so enjoyable – with slick production value, an utterly endearing, talented cast that feel like a real family, and a love and indulgence for the fun, the campy and ABBA itself, Mamma Mia! is a resounding success. As the cast returns in dazzling, multicoloured ABBA-inspired outfits after the curtain call and perform the final medley of “Mamma Mia!”, “Dancing Queen” and “Waterloo”, the Sands Theatre ostensibly transforms into a concert hall, and we find ourselves singing along, completely under the spell that Mamma Mia! has cast on us all, leaving us dreaming of a Greek holiday.